I’ve been documenting my daily looks on video, and adding them into my Shop My Looks page here each day. You can click on each picture there and there are links to each piece I am wearing. I update it every single day. It is really easy! I also show all outfits in my Instastories each day if you like to see it live each day. These are truly outfits I am wearing in my real life, and in real-time. I’m all about easy, comfortable looks, and I rewear stuff a ton. If I like something, I rewear it a TON, and I hope I can bring you inspiration if you need some help with outfit ideas. 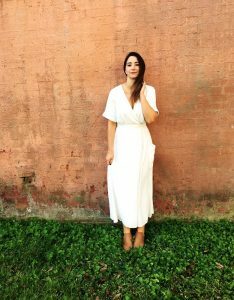 If you are looking for even more style inspo, I have a weekly style newsletter that goes out every Sunday morning and it is probably my favorite thing to write right now. Come join the fun! P.S. Stay tuned below for a really amazing free resource for you that will help you get dressed easier each day. 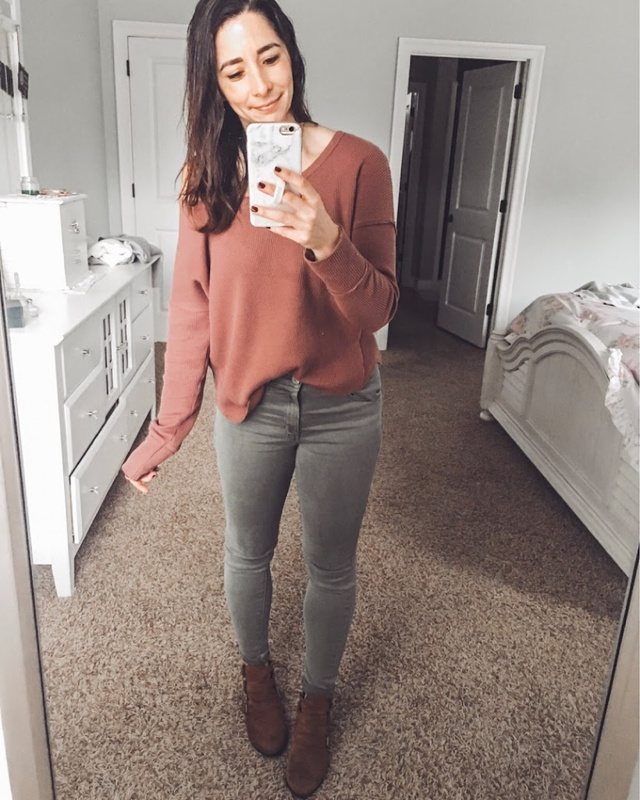 My fave off the shoulder thermal I own in two colors, and the pants that are TRULY as comfortable as a pair of leggings! I got sick of all of my Winter tops and dug around in my Summer storage for this tank. Layered with the coziest cardigan EVER, the jeans I think are amazing with a great price tag, and my Madewell slides I scored on sale. Should I have just called this week legging week?! I love this oversized sweater paired with leggings and simple slip on mules. Another cozy day! I was at home writing and paired another of my favorite tanks (it is so soft! ), with the leggings I have owned for two years and loved, and the cardigan I can’t stop wearing. Now on to the good news! 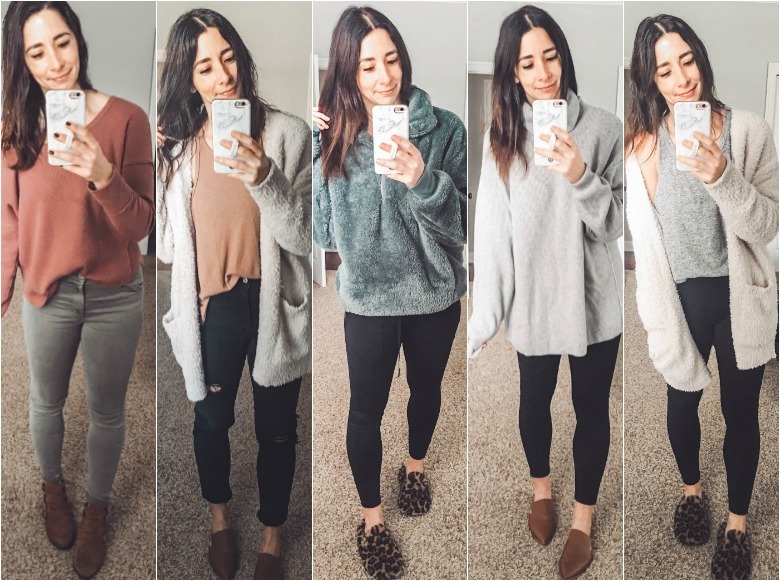 I have been implementing a capsule wardrobe into my life for the past year or so, and with the help of uniforms, it has changed everything. I no longer have a closet stuffed with clothes I don’t wear, or have clothes that don’t fit my actual lifestyle. I shop more sensible (and less! ), and I just feel really confident with my abilty to buy things that seemlessly work into my wardrobe. Now I want the same for you. I know capsule closets and the whole concept of doing one can be stressful, and that I why I created a FREE GUIDE on How To Start a Capsule Wardrobe for you. It is a step by step guide that will talk you through the whole process, and I PROMISE you will feel relief knowing how easy and doable it can be to start one. You can sign up for it below and you’ll get a PDF chock full of intructions, tips, and tricks.